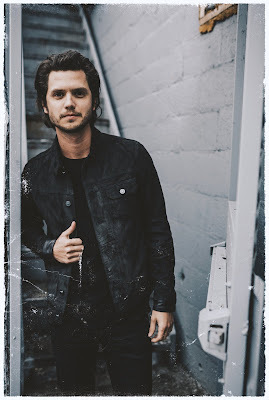 After a string of successful releases on SiriusXM’s “The Highway,” Steve Moakler will headline The Highway Finds Tour this spring, with special guests Drew Baldridge and Smithfield. The singer-songwriter, who launched as a Highway Find in 2016 and has since climbed the chart on “The Highway” with two successful singles, will headline the 26-city tour, crisscrossing the country beginning March 16. The Highway Finds Tour is the first ever country tour initiative by SiriusXM’s “The Highway” and will include stops in Boston, New York, Nashville, Chicago and more. Moakler has had success with back-to-back hits, “Suitcase” and “Love Drunk.” The “in-demand artist” (Taste of Country) has also landed on more than 20 “artist to watch” lists including CMT, Huffington Post, Nashville Lifestyles, Rolling Stone Country and more. His energetic 60+-minute set will include SiriusXM favorites, as well as new music from his soon-to-be-announced, forthcoming album due later this year. Last summer Moakler joined Billy Currington and Kelsea Ballerini on the Summer Forever Tour. He was then tapped as direct support on Old Dominion’s Meat and Candy Tour through the end of 2016. For more information on Steve Moakler, visit www.stevemoakler.com.